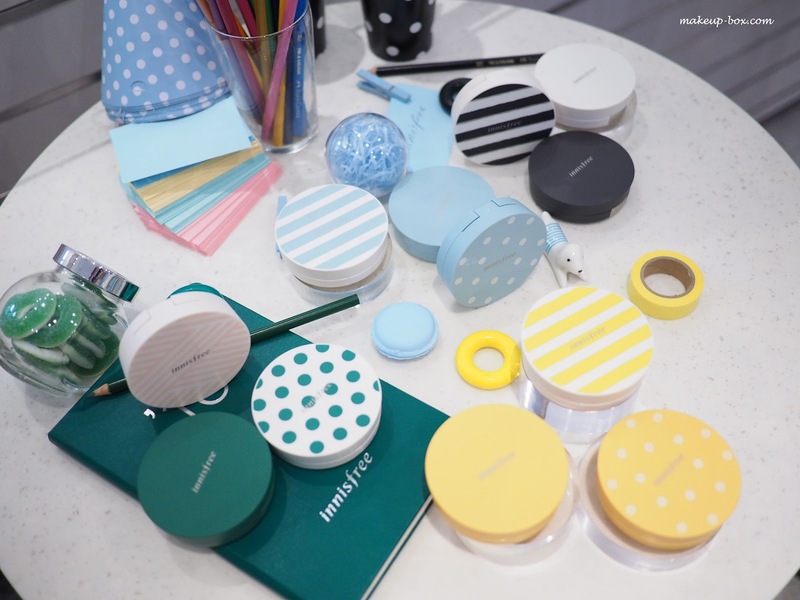 Popular Korean brand Innisfree has revamped their cushion foundation offering by updating their formulas, as well as changing up the whole portable compact foundation game by adding new cosmetic as well as functional spins on things. Firstly, they realize that cushion compacts are things many people bring out for touch-ups, so you can now choose from a whopping 100 case designs to match every mood and outfit. 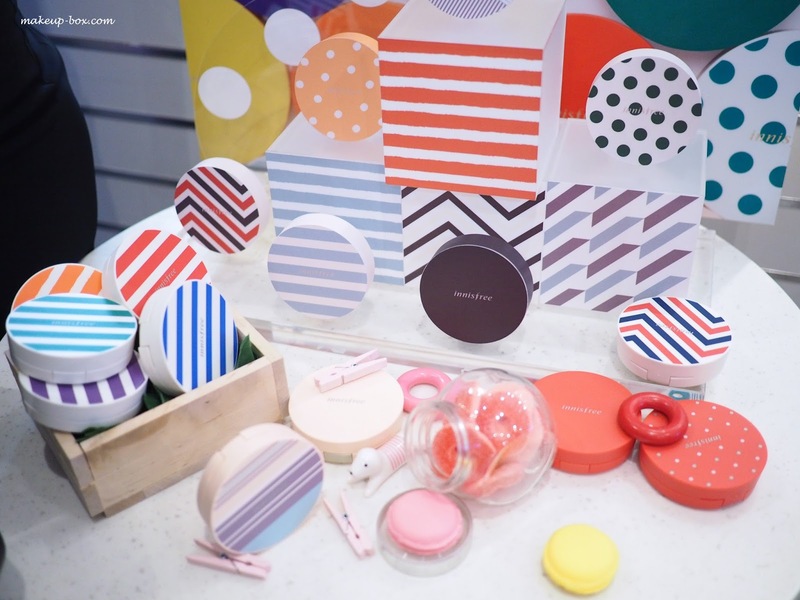 And believe me, I thought that was a bit gimmicky at first, but when you look at all the cases, you can't help cooing at all the adorable designs and color options. 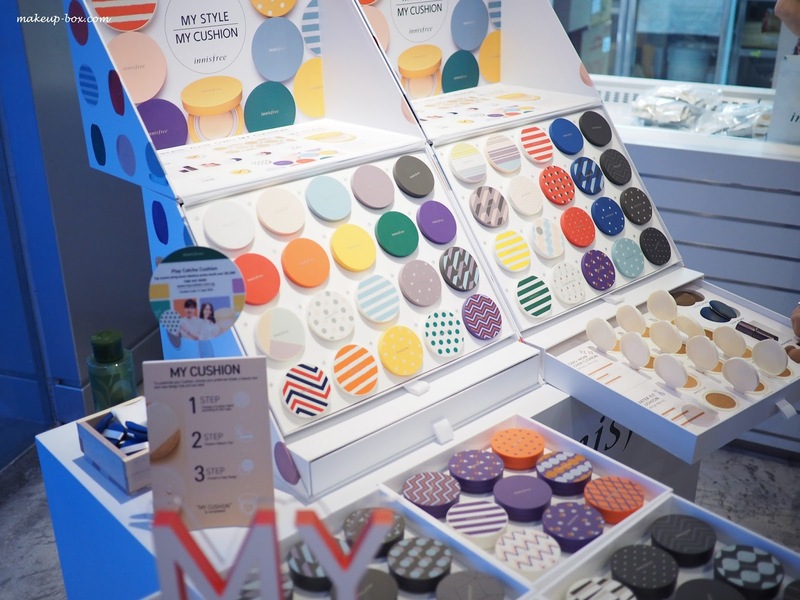 These have just been rolled out island-wide in Singapore, but only the flagship stores (Ngee Ann City and Vivocity) will carry all 100 designs. All other stores will carry a standard set of 40 shown on the two tilted racks below this paragraph. Technically I don't ever touch up liquid bases outside so my cases are probably never going to make it out of the house except when I travel. Ultimately though, it's just a bit of welcome fun and I expect most people would find at least a few that they really like. I mean - come on! These are too cute. 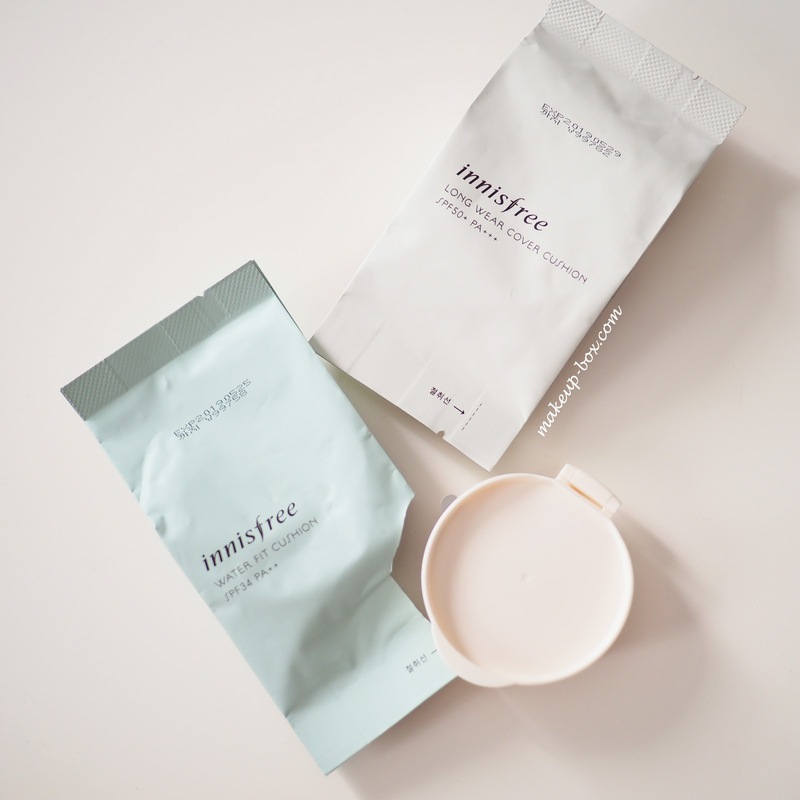 Secondly, Innisfree is also changing up their formulations based on customer demand, which is fantastic. 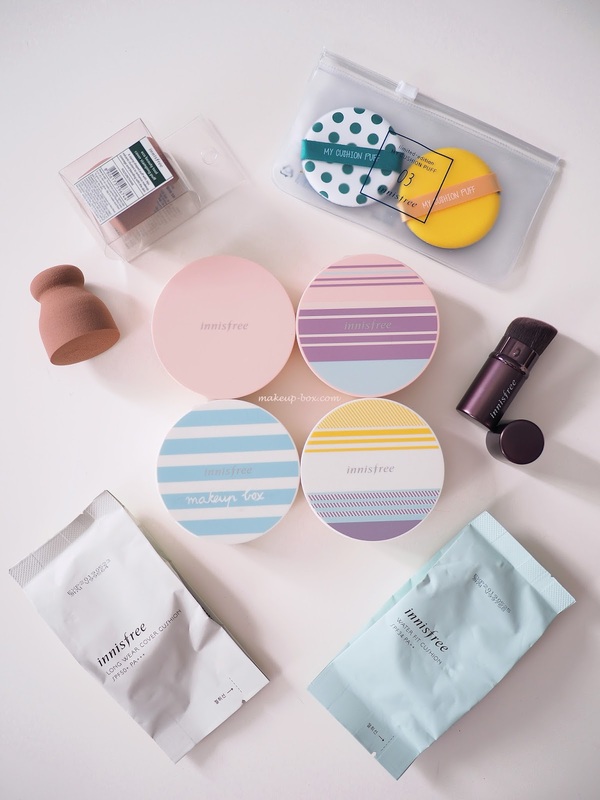 Water Fit Cushion is the updated hydrating cushion, and to fit the preferences and lifestyles of customers, they've made the formula more lightweight so it nourishes but doesn't leave a tacky, greasy film on the skin. I have somewhat dry skin but even I can't wear formulas that are too moist because they just move around in our weather. Next is the Long Wear Cover Cushion, which is my favorite. 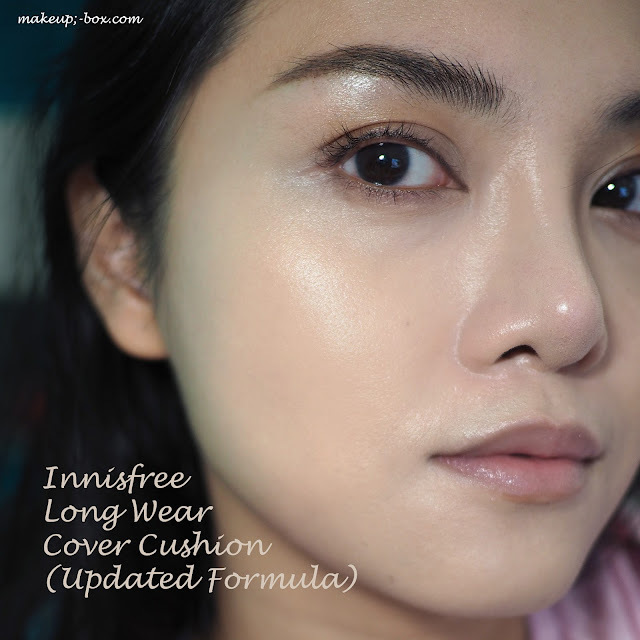 I've used the original Long Wear formula when Innisfree first launched in Singapore and I did talk about it a couple of times on Dayre as being a nice lightweight cushion which gives a glow but does not slide right off or feel greasy on the skin in our tropical heat. Now though, Innisfree has updated the formula to provide a lot more coverage because many customers who need a formula for oily skin also want skin-perfecting coverage. And let me tell you this month seems to be a great month for testing new bases because I haven't met a dud yet. Ladies, meet the new Long Wear Cover Cushion. I'm not wearing any concealer below. This is just the Long Wear Cover Cushion applied with their new stamping puff and cushion brush, which I will go into detail in a minute. Let me first add a note that it is NOT matte. This still has a satin glow. 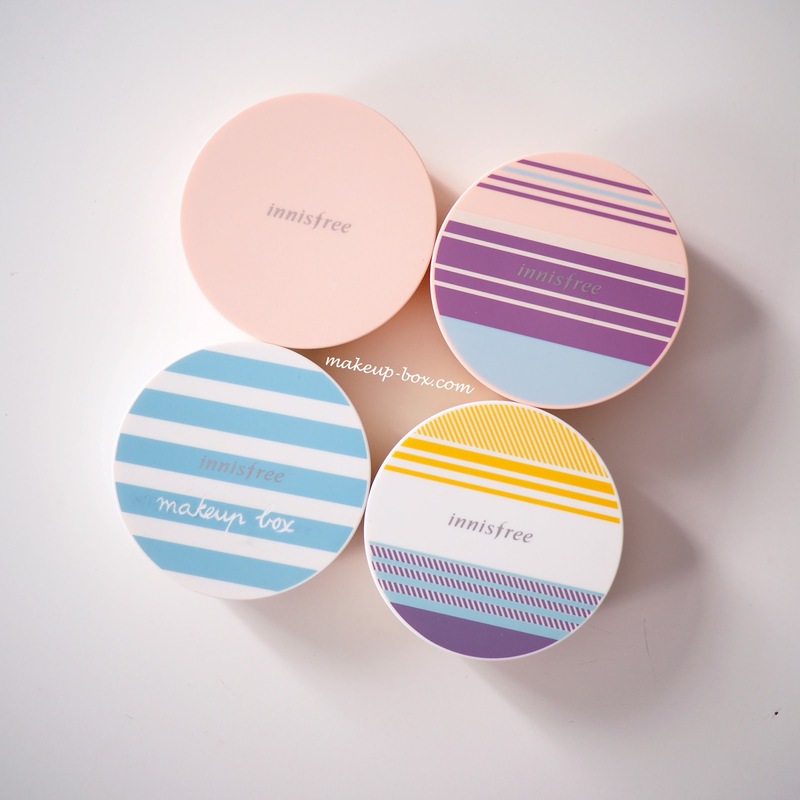 If you have very oily skin you will probably need a matte primer and a good powder. But for everyone else who want a glow that is not going to slide off in 5 minutes, this is a great option because - dayum, look at that glow. And my skin is not exactly perfect today. I do have a couple of spots around my nose, and my perennial dark circles. A faint fading scar between my brows. And a small dark scab near the right side of my chin. You can still see a bit of the dark scab but not the red marks around my nose. As with many cushions, the formula will deepen up just a tiny bit when set (but this happens to different degrees on different people) so make sure you give it some time to sit on your face before you choose a shade and don't just automatically assume you need to go one shade lighter, or pick the first color that looks right. But you can't talk cushions without talking tools. And this is where I want to applaud Innisfree. You guys know I'm not a huge fan of the traditional cushion puffs. I feel like we're all just slapping product around and taking it off and slapping it back on. 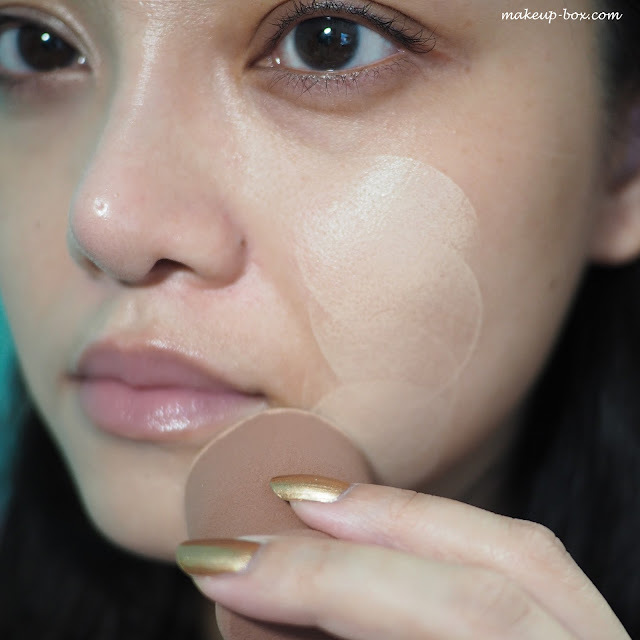 It takes 10 minutes to get the perfect coverage and seamlessness that I can usually get in 2 minutes with my fingers. But I'm not about to dig into liquid cushions with my fingers either. 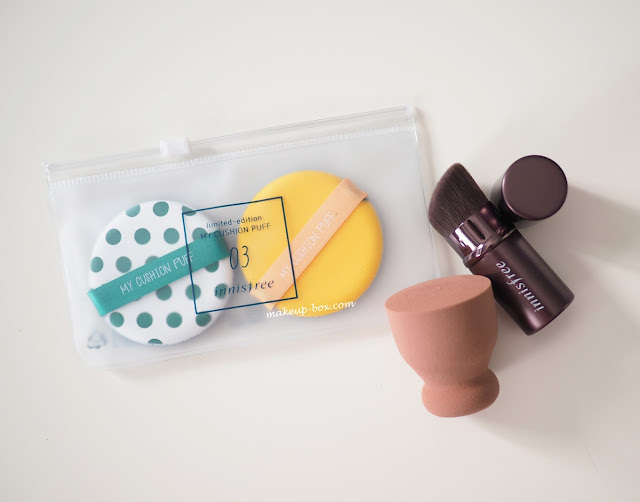 Enter the affordable new stamping sponge and cushion brush. The puff is SGD$8 and the brush around $12 (I don't have a price list so I might be mistaken about the brush but I do know the puff price because I already bought a backup so I can rotate while I wash one). These will be staying with me as long as I continue to use cushions. These are genius. Both give more coverage than a flat puff and 100 times quicker to work with (in my opinion). The stamp puff is not portable but the retractable brush totally is. I'm totally chucking out most of my cushion puffs after this - I'm not even kidding. The brush looks like it doesn't pick up a lot of product, but don't be fooled. 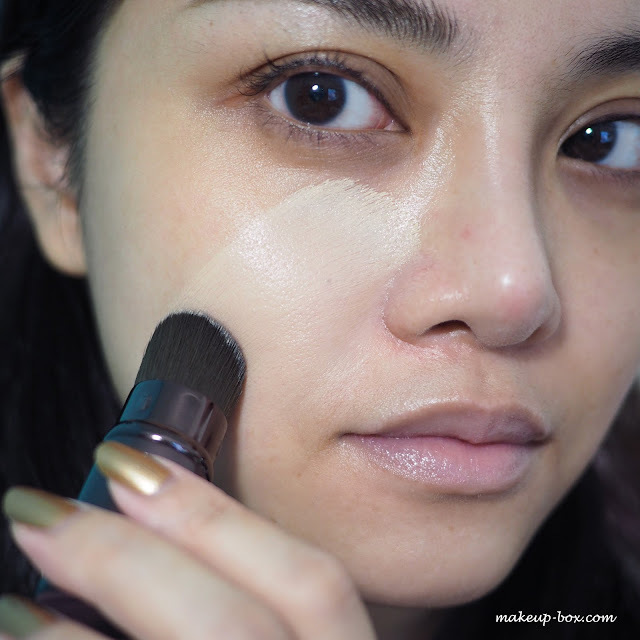 You do get quite a good amount (see the one stroke coverage below) because the bristles will deposit the foundation right back on your face and blend it out nicely. I didn't get streaking and patchiness, and coverage was instant. Also, this gets around tight corners like inner corners of the eyes, around the nostrils, etc quickly and thoroughly. Which fixes the problem I have with flat cushion puffs. 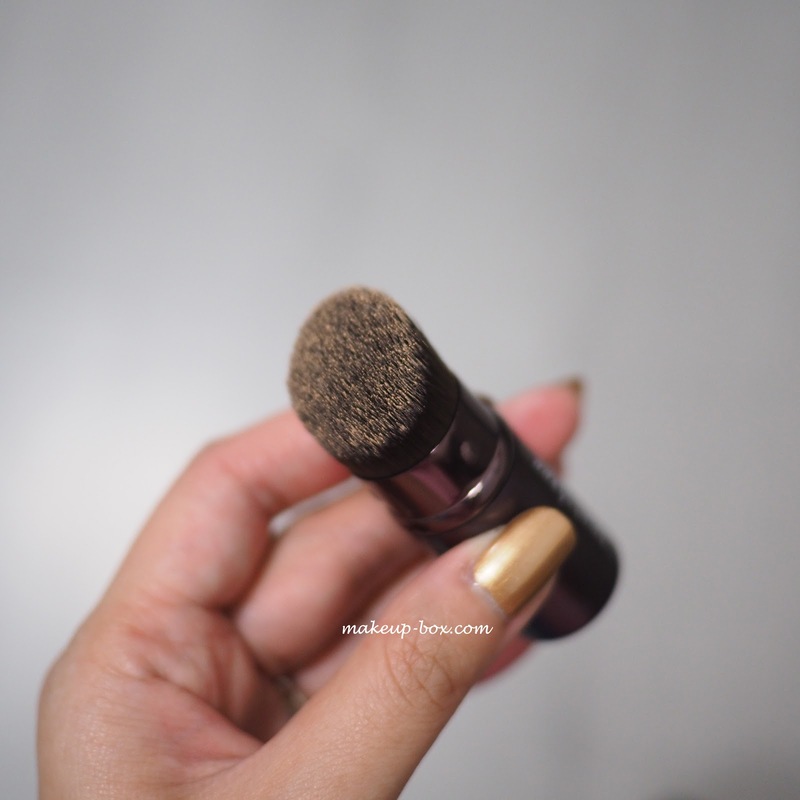 I've been using foundation brushes to apply cushions for awhile now but they usually don't work that great either, so I really did not have high expectations for this brush initially. 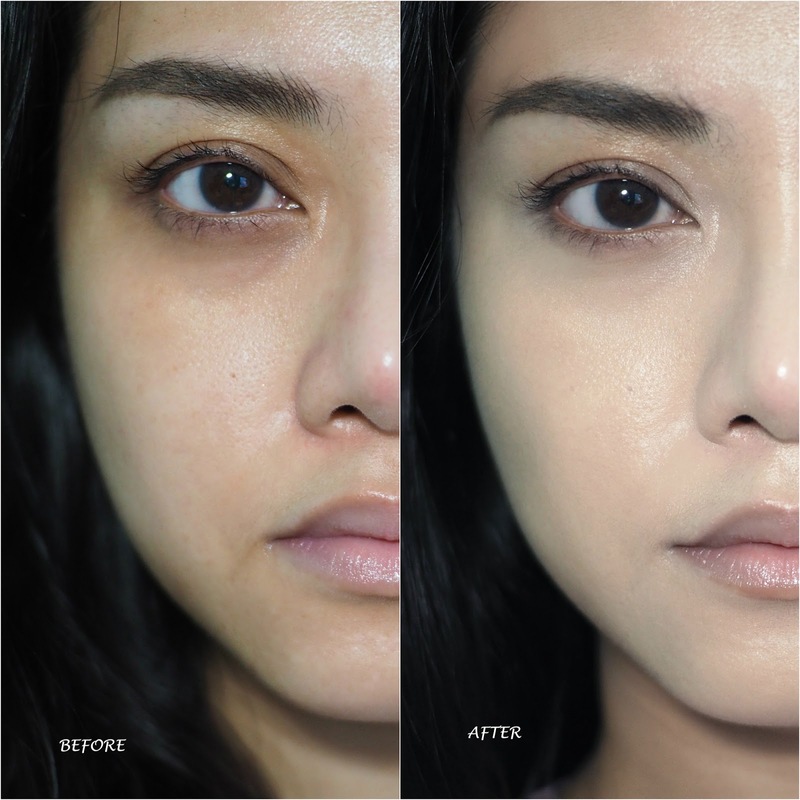 I guarantee you I will be trying this out with other foundations soon to see if it works just as well. I imagine a lot of people will be much more curious about the stamping puff though! After all, this is the age of beauty blenders and specialist sponges. The stamping puff has a similar texture and feel to typical blenders. The round, flat top is designed to fit over the surface of the cushion compact easily and to pick up an even layer of product. If you tap lightly, your puff will not be entirely covered. I made the mistake of thinking it was like an old school puff and decided to press down a little more firmly so I could coat the entire surface. Good lawd. I had enough coverage to stamp over my entire face and down my neck.Moral of the story? Don't press hard. The coverage is extreme with this tool though. 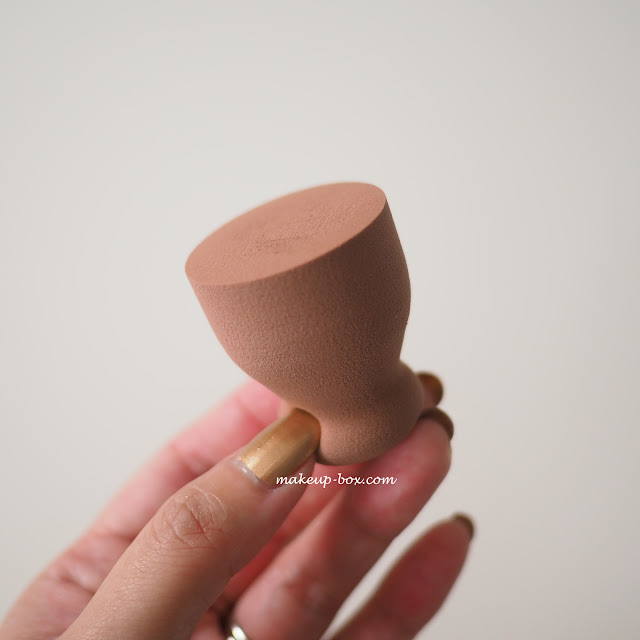 Unlike a rounded beauty blender, the stamping puff is designed to deposit product. And it really deposits. I did very light taps below, and you get full coverage with each tap. I will say though, this is not a blender. And if you over-apply, this puff is not the quickest and sheering and blending things out. It also isn't brilliant and getting around tight corners, which is why I used the brush to even things out, after stamping on product with the puff. Still, for quick high coverage over a large area, this puff is fantastic. It's $8. I can buy 4-5 of these for every beauty blender. 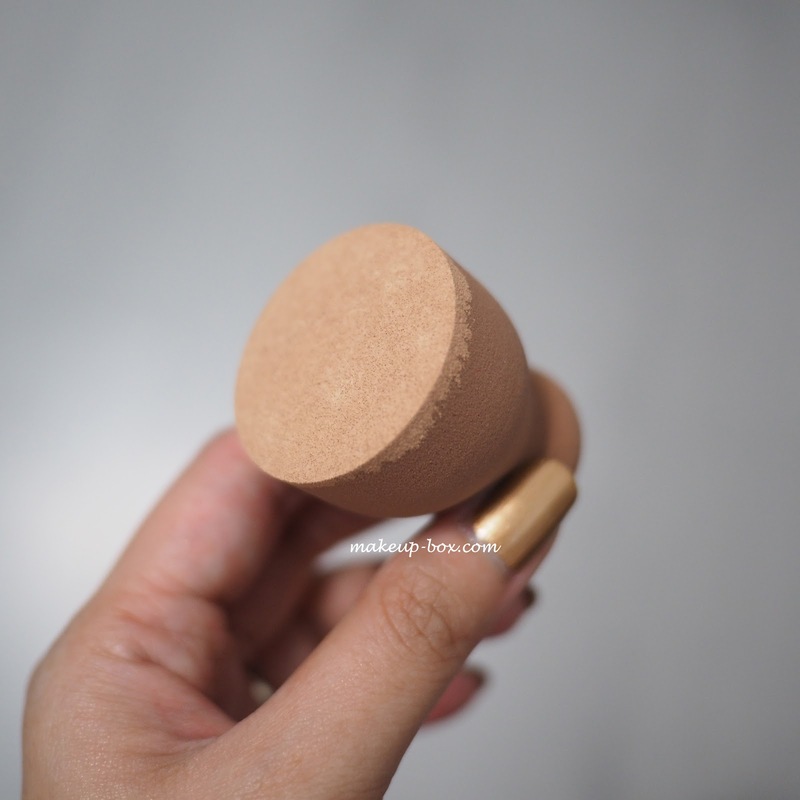 I was thinking of trying this with other foundations, but I'm not sure if it would work as well if you pump foundation directly onto the surface. Will have to try it and see. Besides the stamping puff and the cushion brush, Innisfree also offers two flat puffs - one "glow", and one "fit". 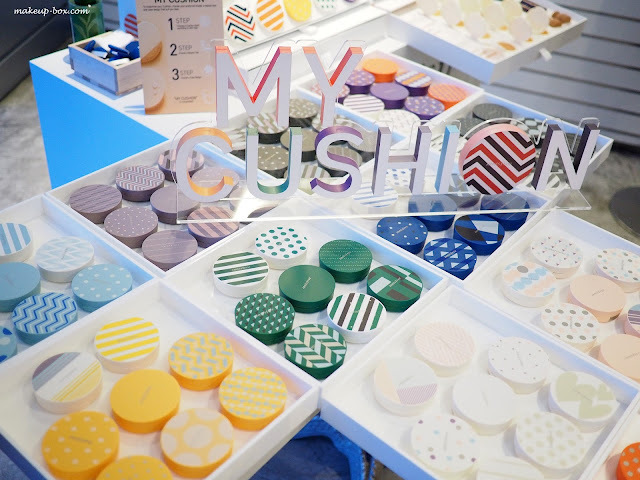 If you're headed out to grab a cushion and tool from Innisfree, don't forget there is a special promotion until end of this month. If you buy an entire set (cushion refill, case, and one puff/tool), you get to pick out another case for free. I do recommend making use of the promotion especially if you're paralyzed with indecision. Individual cases are $12 and cushion refills $19 each.